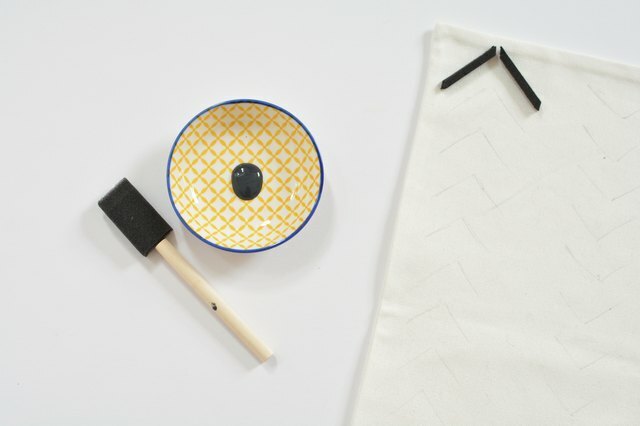 Vintage African mud cloth can be expensive to source, but with this simple tutorial you can make your own version influenced by traditional patterns for a fraction of the price. 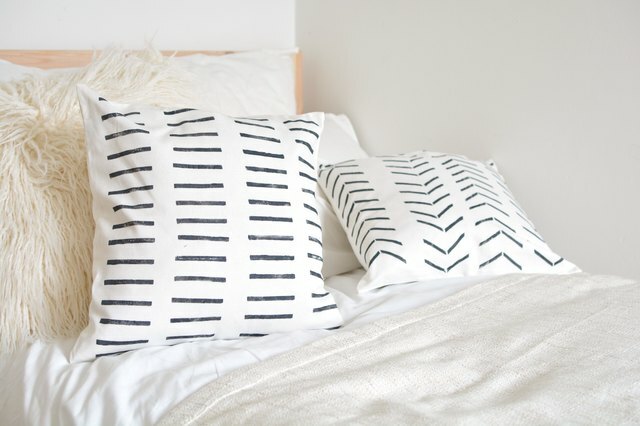 I'm going to show you how to create some tribal mud cloth inspired cushions using a fun stamping technique and fabric paint. 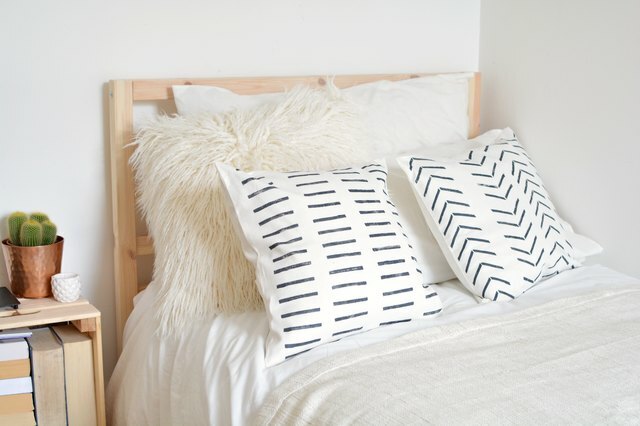 It's a quick and easy way to update any textiles in your home! Use a pencil to lightly mark out the design you intend to stamp onto the cushion. I created a modern arrow design on mine (pictured below). Marking out the pattern first helps to give a guide as to how many rows you'll need and how large you will want the design to be. Next, create your stamp. I like to use self adhesive foam, as it's easy to cut into basic shapes for printing. 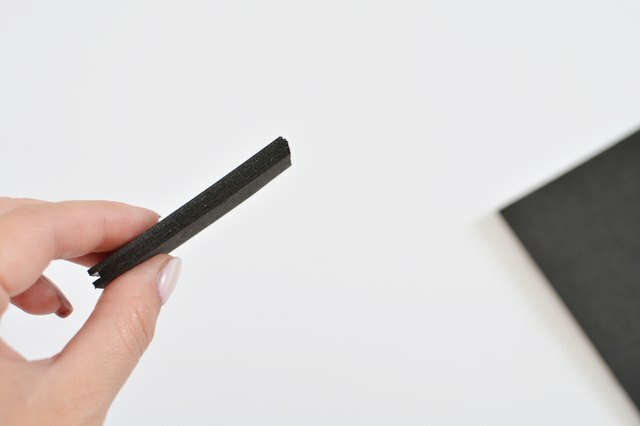 Cut out three identical rectangles larger than you want the stamp to be, remove the backing and stick them together to create one thick foam rectangle. 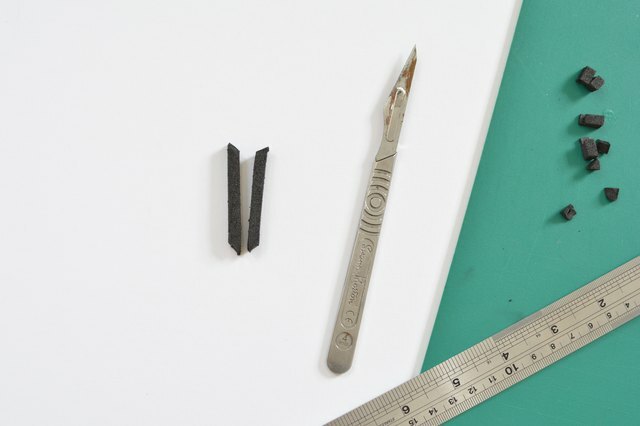 Use a ruler and craft knife to cut two thin strips from the foam rectangle. 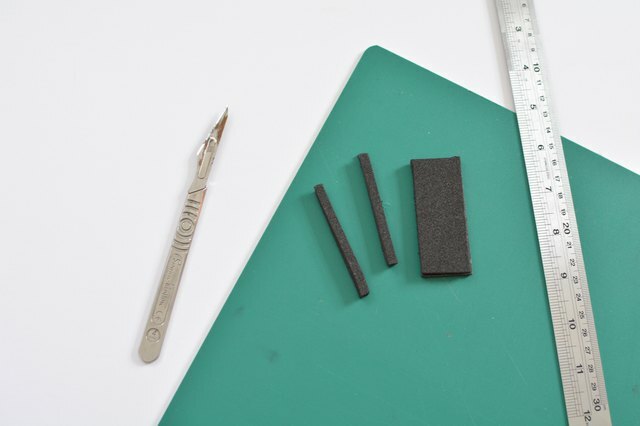 Trim the ends of the two foam strips diagonally as shown in the image below. The two strips of foam will create a simple arrow design when placed together. Dip the sponge brush into fabric paint and lightly apply to one side of the stamp. Firmly press the stamp onto the fabric to transfer the paint onto the cushion, and repeat until the row is completed. (You can vary the direction the arrows point in the next row for a more interesting design!) Leave to dry before ironing on the reverse side to finish. Once you've mastered the technique you can experiment with other designs and shapes. Mud cloth is a hand-painted technique so don't worry about stamping perfectly; any imperfections will make the cushion look more authentic!